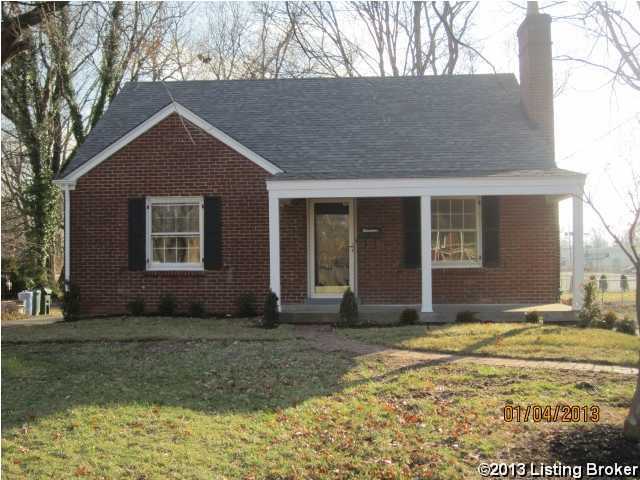 Really Nice Brick 1 1/2 story with alot of new updates. New Furnace,New Roof on house and 2 car garage,New Paint,New Granite Counter tops. New light fixtures and door hardware. New stainless steel stove, New dishwasher. New landscaping.Hardwood floors have just been professional refinished. Large brick 2 car garage with openers.Great house to start the new yaer off in. Hurry it won't last long. LISTING PROVIDED COURTESY OF Bryan K Wimsatt, Metro Realty & Management Inc.
4314 Taggart Dr, Louisville KY 40207 is a Home, with 3 bedrooms which is recently sold, it has 1,432 sqft, < 1/2 ACRE sized lot, and 2 Car Garage,Detached parking. A comparable Home, has 3 bedrooms and 2.5 baths, it was built in and is located at 3545 Nanz Ave Louisville KY 40207 and for sale by its owner at $ 244,900. This home is located in the city of Louisville , in zip code 40207, this Jefferson County Home, it is in the ST MATTHEWS Subdivision, and St Matthews are nearby neighborhoods.